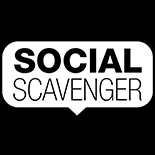 Social Scavenger is the #1 platform for building and running your own mobile based scavenger hunts, amazing races and much more. You agree to provide true, accurate, current and complete information about yourself as prompted by any registration, application or enrolment form utilized by the Service. You must maintain and promptly update the information you provide to keep it true, accurate, current and complete. You represent and warrant that you are at least 18 years old or that if you are under 18 years old, your use of the Service is with the consent of your parent or legal guardian. You agree that you may use the Service for personal purposes only and not for any business, commercial or other use. You may register for the Service only through Facebook or Twitter Connect. When you register through Facebook or Twitter Connect, your Facebook or Twitter login credentials will be used to open and access your account with us. You are responsible for keeping your Facebook and Twitter login credentials confidential. We are entitled to act on all instructions received by anyone using your account and are not responsible for any transaction made without your authorization. You consent to receive communications from us electronically. We will communicate with you by e-mail or by posting notices on the Service. You agree that all agreements, notices, disclosures and other communications that we provide to you electronically satisfy any legal requirement that such communications be in writing. You understand that all information publicly posted or privately transmitted through the Service is the sole responsibility of the person from which such Content originated; that we will not be liable for any errors or omissions in any Content; and that we cannot guarantee the identity of any other users with whom you may interact in the course of using the Service. The Service and all Content displayed or otherwise accessible through the Service, other than your submissions, are owned or licensed by us and are protected under Canadian and foreign copyright laws and referred to herein as our Content. You are not granted any right, title, interest or other license in or to our Content. You agree not to reproduce, make derivative works of, retransmit, distribute, sell, publish, communicate, broadcast or otherwise make available any of our Content, including without limitation, by caching, framing, deep-linking or similar means, without our prior written consent. Social Scavenger is a trademark of Mandown Group Inc. Other names, words, titles, phrases, logos, designs, graphics, icons and trademarks displayed on or through the Service may be registered or unregistered trademarks of third parties. Any use of any trademarks appearing on or through the Service without the express written consent of its owner of strictly prohibited. YOU ACKNOWLEDGE AND AGREE THAT YOUR USE OF THE SERVICE IS ENTIRELY AT YOUR OWN RISK. THE GAMES PROVIDED BY US THROUGH THE SERVICE CONTAIN CERTAIN CHALLENGES THAT YOU MUST COMPLETE IN ORDER TO PARTICIPATE. IN SOME CASES THE CHALLENGES ARE SUBMITTED BY USERS AND THIRD PARTIES AND WE DO NOT EXERCISE EDITORIAL CONTROL OVER THEIR SUBMISSIONS. BY PARTICIPATING IN A GAME THAT WE OFFER, YOU ACCEPT ALL RISKS AND RESPONSIBILITIES ASSOCIATED WITH COMPLETING ANY CHALLENGE. DO NOT PARTICIPATE IN ANY CHALLENGE THAT MAY IN ANY WAY CREATE A RISK OF INJURY, DEATH OR PROPERTY DAMAGE. YOU HEREBY RELEASE, DISCHARGE AND COVENANT NOT TO SUE SOCIAL SCAVENGER, OR ANY OF ITS DIRECTORS, OFFICERS, EMPLOYEES, AGENTS, REPRESENTATIVES, CONTRACTORS OR SUPPLIERS, IN CONNECTION WITH ANY INJURY TO THE PERSON, PROPERTY DAMAGE OR DEATH OF ANY PERSON ARISING OUT OF OR RELATED TO YOUR PARTICIPATION IN A GAME OR CHALLENGE OFFERED BY SOCIAL SCAVENGER. THE SERVICE AND ALL CONTENT MADE AVAILABLE THROUGH THE SERVICE IS PROVIDED “AS IS” WITHOUT WARRANTY, REPRESENTATION, CONDITION OR GUARANTEE OF ANY KIND, EITHER EXPRESSED OR IMPLIED, INCLUDING BUT NOT LIMITED TO ANY IMPLIED WARRANTIES, REPRESENTATIONS, CONDITIONS OR GUARANTEES OF QUALITY, MERCHANTABILITY, MERCHANTABLE QUALITY, FITNESS FOR A PARTICULAR PURPOSE OR NON-INFRINGEMENT, ALL OF WHICH ARE DISCLAIMED TO THE FULLEST EXTENT PERMITTED BY LAW. IN NO EVENT SHALL SOCIAL SCAVENGER, OR ANY OF ITS DIRECTORS, OFFICERS, EMPLOYEES, AGENTS, REPRESENTATIVES, CONTRACTORS OR SUPPLIERS, BE LIABLE TO YOU FOR ANY DIRECT, INDIRECT, INCIDENTAL, SPECIAL, PUNITIVE, OR CONSEQUENTIAL DAMAGES WHATSOEVER RESULTING FROM (I) ANY ERRORS, MISTAKES, OR INACCURACIES OF CONTENT, (II) ANY UNAUTHORIZED ACCESS TO OR USE OF OUR SERVERS AND/OR ANY AND ALL PERSONAL INFORMATION STORED THEREIN, (III) ANY INTERRUPTION OR CESSATION OF TRANSMISSION TO OR FROM OUR SERVICE, (IV) ANY BUGS, VIRUSES, TROJAN HORSES, OR THE LIKE, WHICH MAY BE TRANSMITTED TO OR THROUGH OUR SERVICE BY ANY THIRD PARTY, AND/OR (V) YOUR USE OF ANY CONTENT POSTED, EMAILED, TRANSMITTED, OR OTHERWISE MADE AVAILABLE VIA THE SERVICE, WHETHER SUCH CLAIM IS BASED ON WARRANTY, CONTRACT, TORT, OR ANY OTHER LEGAL THEORY, AND WHETHER OR NOT WE HAVE BEEN ADVISED OF THE POSSIBILITY OF SUCH DAMAGES. THE FOREGOING LIMITATION OF LIABILITY SHALL APPLY TO THE FULLEST EXTENT PERMITTED BY APPLICABLE LAW. All rights reserved. Copyright © 2014. Unauthorized distribution, transmission or republication strictly prohibited.